I like to think that my love of travel comes from my parents. My mother moved from Peru to Italy in her 20s which is where she met my father, an Englishman. The two of them moved to the UK which is where they had me. At 3 months old I took my first trip abroad, to Italy, to visit my mother’s friends. At 6 months old we had uprooted to America. By the time I hit my teens we had moved back to the UK, taken trips to places like Peru, France, back to America, back to Italy and then settled on the other side of the world in Sydney, Australia. As a child, and a teenager, I naively assumed everyone was getting to experience different cultures from a young age. I remember when we lived in a small village in the UK the furthest anyone had travelled was France. When I went to Australia it amazed me that some people didn’t even have passports! To me, having a passport was a staple of life! Now obviously this was when I was growing up. Not everyone can afford to travel, I was extremely lucky that my parents took me to places (being an only child helped on the expense!). But when I left Australia to move back to the UK in my 20s, what surprised me was how few people really had the desire to go out and see some of the world. And moving back to the UK things weren’t much different. This time I was living in the big smoke – London. While a lot of people I met had moved from their hometowns there were still many people who were living in the same area they grew up in, or maybe a few tube stops away. I believe, as the quote implies, that you do need to travel to get a greater view of the world. I think everyone should live in at least one other country than the one they were born in, and where possible travel to one new city/country a year. I was already quite well travelled when I left Australia to come back to the UK, but moving from a country that’s so far away from everywhere to a country that is relatively close to everywhere, means I made a conscious effort to see as many new places as I could – especially with the many budget airlines there are around. Now, anyone I speak to I always try and bring up travel – either to find someone who has already seen the world and we can share our passion, or to inspire someone who hasn’t yet seen the world to buy their next plane ticket. 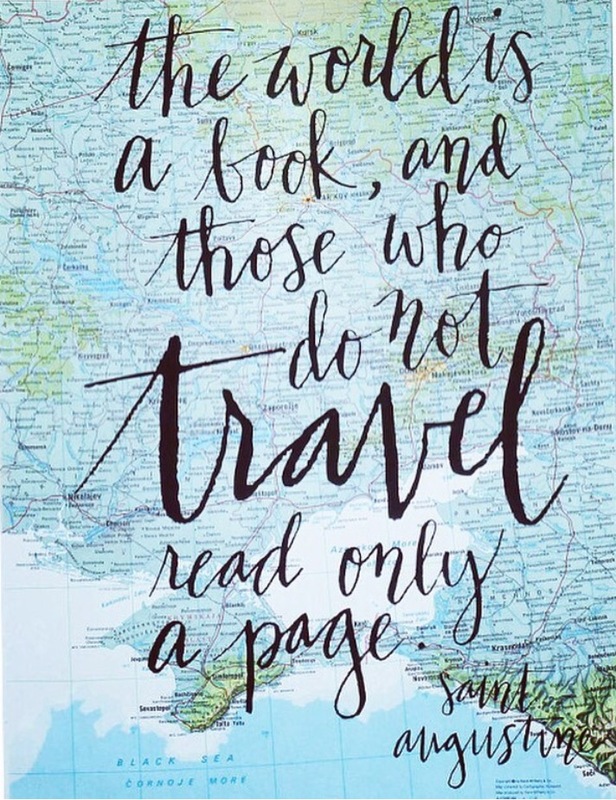 Not everyone will read as much of the world book as others, but ensuring you have read at least a few pages (why not a chapter!?!) will definitely lead to a much happier, well rounded life. At least that’s what I believe.